For over 20 years, Connecticut Pet Containment has successfully installed pet containment systems and trained 5,000+ dogs in Fairfield, New Haven and Westchester counties. Our containment system is effective for every size, breed, and behavior of dog, from Poodles to large German Shepherds. We offer professional installation, customer support, and training after the installation to ensure the highest success rate. CT Pet Containment System allows your pet friends access to run and romp in your yard while keeping them confined within safe boundaries. 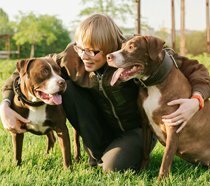 Granting your pet access to such an environment helps promote good mental and physical health, as well as giving you the joy of knowing you’ve done something wonderful for your beloved pet. 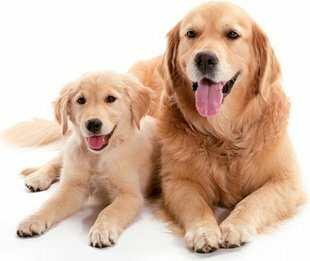 CT Pet Containment has years of hands-on experience, working with thousands of dogs of every size, breed, and behavior. We service all brands of pet containment systems. Our professional staff has expertise and knowledge of proper use and training techniques. Their experience and care has resulted in high rates of customer satisfaction and successful pet containment over the years. Since 1995, we have provided the areas of Stamford, Fairfield, Norwalk, Greenwich, Wilton, New Canaan, Trumbull, Darien, Weston, Westport and surrounding cities with the highest quality of pet fences and accompanying dog training. Our pet fencing will allow your furry friends to run and play in your yard while keeping them safe inside the boundaries of your yard. An electric pet fence encourages dog safety while allowing an environment that will help promote mental and physical health. By having an electronic fence, you are choosing a cost-effective alternative to traditional pet fencing, while providing an even safer solution. We Service all Brands!!! Call for Details. Call today for unbeatable prices & service! Sign up to get seasonal coupons and updates delivered to your inbox. Be sure to provide us with your dog's birthday. We will send you a special birthday gift as a thank you token. © Copyright 2019, Connecticut Pet Containment, LLC. All Rights Reserved.